Family-friendly NDIS information for children of all ages. NDIS4kids brings you family-friendly information to assist you in understanding, planning for, and getting the best outcomes for your child through the NDIS. This information is brought to you by the Association for Children with a Disability and has been supported by the Victorian Department of Education and Training. 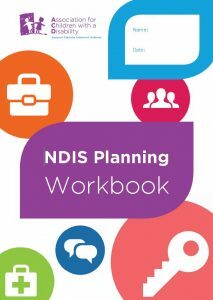 ACD also delivers this information (and more) in our family-focused NDIS workshops which we deliver across Victoria. You can find out more about these here. To get the most accurate information about the NDIS and other information to support your child, please click on the age group most relevant to you below.